TOKYO/SINGAPORE -- Toyota is making its largest bet to date on ride-hailing with a $1 billion investment in Singapore's Grab. The Japanese automaker's investment values Grab, Southeast Asia's largest ride-hailing service, at just over $10 billion, according to a person familiar with the transaction. A Toyota executive will be appointed to Grab's board, and another Toyota employee will be seconded to Grab to as an executive officer, the automaker said Wednesday in a statement. Automakers are taking steps toward a future where mobility services will make individual car-ownership less necessary, while trying to fend off technology giants targeting the same market. General Motors, Daimler and Honda are among manufacturers that are investing in ride-hailing applications and developing self-driving vehicles. "This is a good decision -- Toyota should not be late in this area," said Tatsuo Yoshida, an equities analyst at Sawakami Asset Management in Tokyo. "Ride-sharing is coming. For car companies, this is a painful reality, but it can be a business opportunity if they understand it correctly." Toyota President Akio Toyoda is working to turn the 81-year-old auto giant his grandfather founded into a mobility-services provider. The company has also backed Uber and invested in Japan Taxi, an Uber rival run by the chairman of Tokyo's biggest taxi operator. Toyota and Grab representatives declined to comment on Grab's valuation or the size of Toyota's stake. 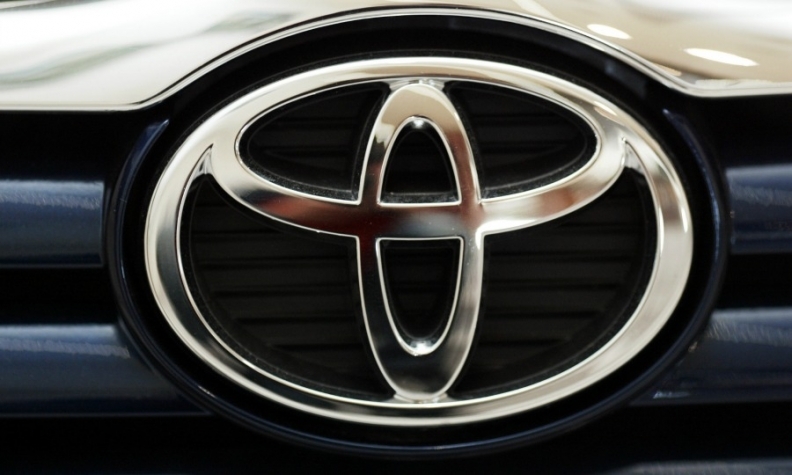 The investment is set to take place around the end of this month, Toyota said. Toyota's trading arm, Toyota Tsusho, already invested an undisclosed amount in Grab last year, and the companies have worked together since August developing connected services. Toyota has installed its data recorders in Grab-operated rental cars to collect driving data -- a similar strategy it has employed with Japan Taxi. "This investment isn't necessarily about making money, but about getting access to technology that fits in some place in Toyota's broader business," said Edwin Merner, the Tokyo-based president of Atlantis Investment Research. "If Toyota can build up knowledge on things like automated navigation, this is worth it. It's a kind of r&d." Toyota has sought partnerships with tech companies in a bet that data will be a key part of its future. The company had about $54 billion in cash, equivalents and short-term investments as of March 31. The cooperation with Grab will focus on services related to fleet management, such as maintenance. The two companies are exchanging information on autonomous driving, but no decision has been made on collaboration in that area, a Toyota spokeswoman said. The automaker is still discussing which executive to send to Grab's board, and is considering dispatching "a number" of Toyota employees to its partner, the spokeswoman said. In March, Grab boosted its grip on Southeast Asia by buying Uber's business in the region. The six-year-old company faces fierce competition from Indonesian rival Go-Jek, which is expanding ride-hailing and other services in Southeast Asia. At about $10 billion, Grab is still a relatively small player. Uber was valued at $62 billion in a stock deal announced in May, and Didi Chuxing was valued at $56 billion after a fundraising round in December. Grab has powerful backers though, including Uber, Didi and Softbank Group, the Japanese tech giant run by Masayoshi Son that has invested billions of dollars in automation and artificial intelligence companies, including GM's Cruise autonomous-car unit. Automakers are working with and competing against technology companies to figure out how to make money from services to drivers as automation, electrification and on-demand transportation threaten to reshape the industry. GM has invested in ride-hailing provider Lyft, while also developing self-driving cars to compete with other autonomous-vehicle companies. Honda also invested in Grab in a partnership aimed at expanding motorcycle-hailing operations in Southeast Asia, and is building an autonomous car with Alphabet's Waymo.